Circulon 17-Inch Roaster Just $29.99! Down From $60! FREE Shipping! Amazon is offering this Circulon 17-Inch Roaster for just $29.99 down from $60 PLUS FREE shipping! The Circulon Nonstick Bakeware 17-Inch by 13-Inch Roaster with U-Rack makes it simple to create healthy, lean and mouthwatering dishes, from a maple-and-cider-brined turkey to a pork loin roast with cranberry chorizo stuffing. With its convenient chrome-plated U-shaped rack, this roaster keeps meats off the bottom of the pan so unwanted fats drip away to the bottom of the roaster. The heavy-duty carbon steel construction promotes balanced heat distribution for superior cooking performance and long-lasting durability while the rolled edges provide extra strength . The roaster also features DuPont Autograph nonstick for excellent food release and easy cleanup. 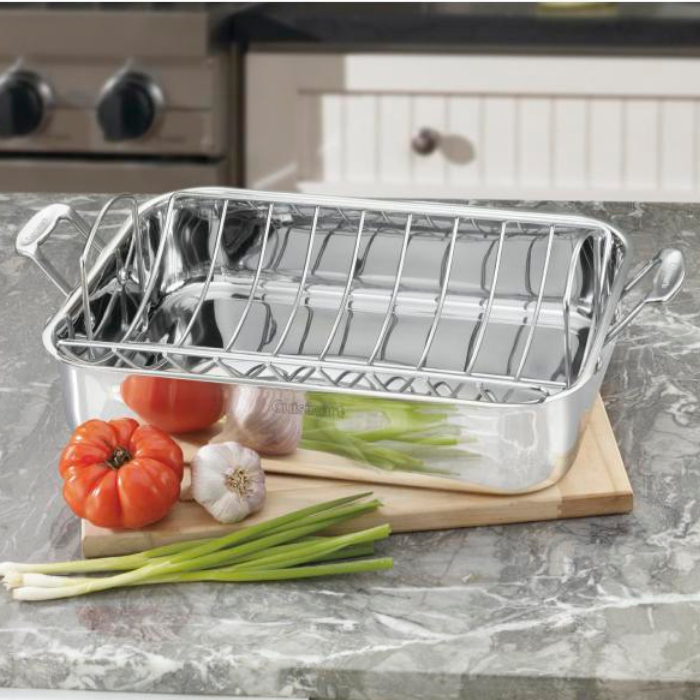 Cuisinart Roaster With Rack Just $43.79! Down From $110! PLUS FREE Shipping! Head over to Amazon where you can score this Cuisinart 16-Inch Roaster With Rack for just $43.79 down from $110 PLUS FREE shipping! Granite 19-Inch Oval Roaster Just $14.18! Down From $29! 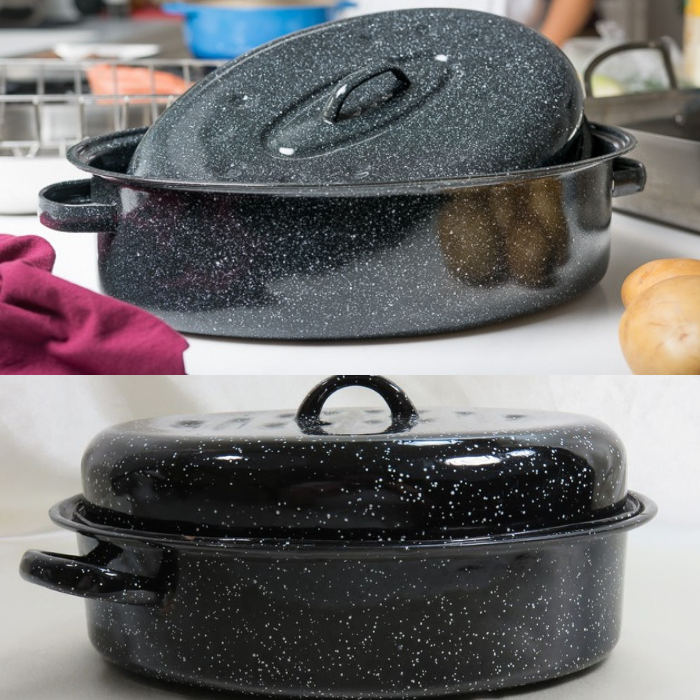 Head over to Amazon where you can score this Granite Ware 19-Inch Oval Roaster for just $14.18 down from $28.95 PLUS FREE shipping with Amazon Prime or for orders $25 or more! This Granite Ware covered oval roaster browns better and cooks more evenly than any other roaster. The dark interior absorbs all the oven’s energy, the steel core evenly distributes the heat and the glass interior doesn’t alter the taste. 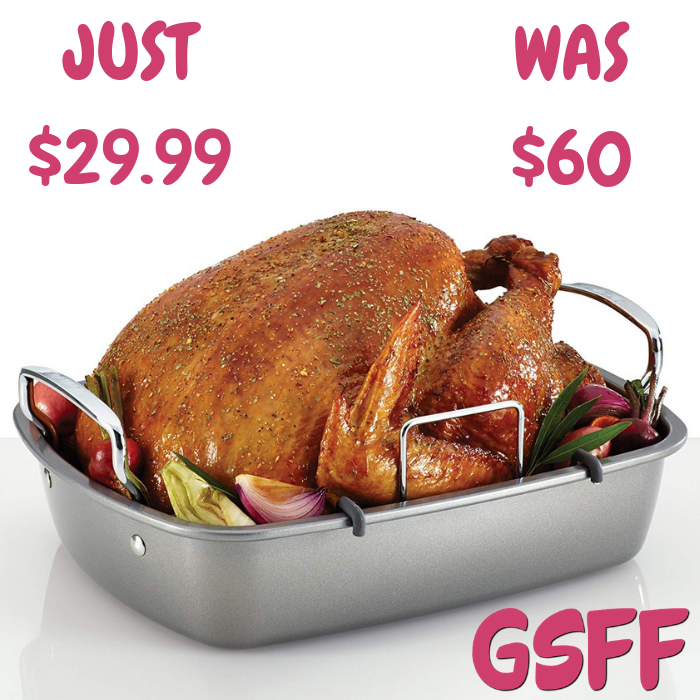 Cooks 16 lb poultry/roast with lid on and up to 20 lbs with lid off.